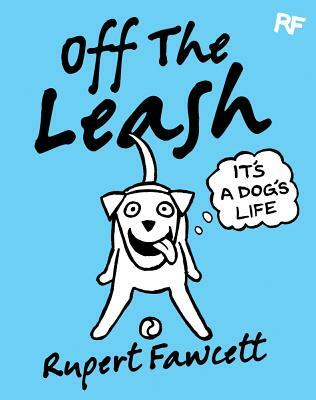 In its first year as a daily cartoon blog on Facebook, Off the Leash developed a regular daily following of half a million dog lovers from around the world, and has become a place where people who are passionate about pooches share anecdotes, pictures and jokes. Capturing the secret thoughts and dreams of dogs, Rupert Fawcett's cartoons are brilliantly observed, and touchingly true to life. This third book celebrates the wonderful world we create for our dogs, from the gloriously cheeky pooches who steal our sofa space, out-smart cats and wrap us around their little paws, to the adoring four-legged friends who want nothing more than our complete and undivided attention. Featuring dogs of every size, shape and breed, these cartoons delightfully capture the glorious relationships between dogs and their owners. Rupert Fawcett is a cartoonist whose past collections include Off the Leash: The Secret Life of Dogs and Off the Leash: A Dog's Best Friend.